Part of the fun of traveling is finding little trinkets to take home for friends and family. Whether it’s a T-shirt bearing a city’s name, a shot glass, or a vial of sand, souvenirs are little reminders of the adventures that have passed. Here are 10 of the best places to get souvenirs in Las Vegas, from shark teeth to gambling chips. 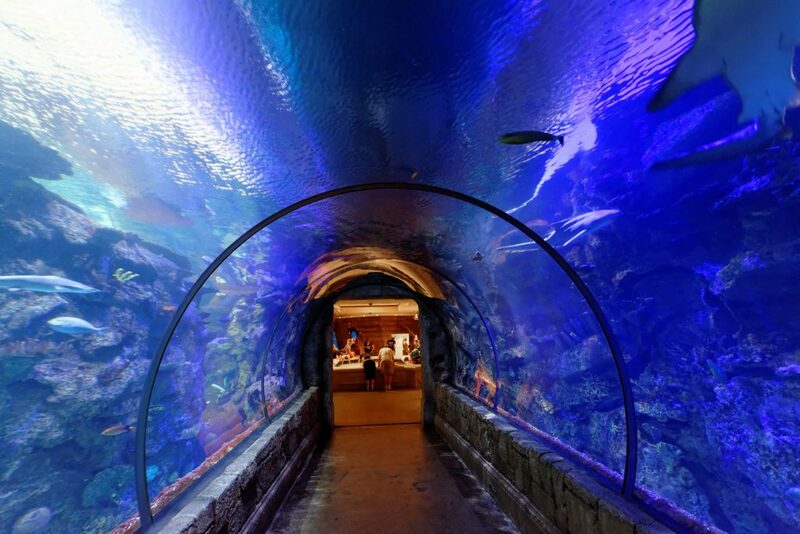 Sea creatures, shark teeth, and more abound inside the Shark Reef Gift Shop. This little store caters more toward kid-friendly souvenirs, but adults can find plenty to suit their interests as well. In addition to the photos that guests take at the beginning of the tour, there are endless choices for trinkets inside the gift shop, including Las Vegas-themed shot glasses, stuffed animals, jewelry, toys, and books. 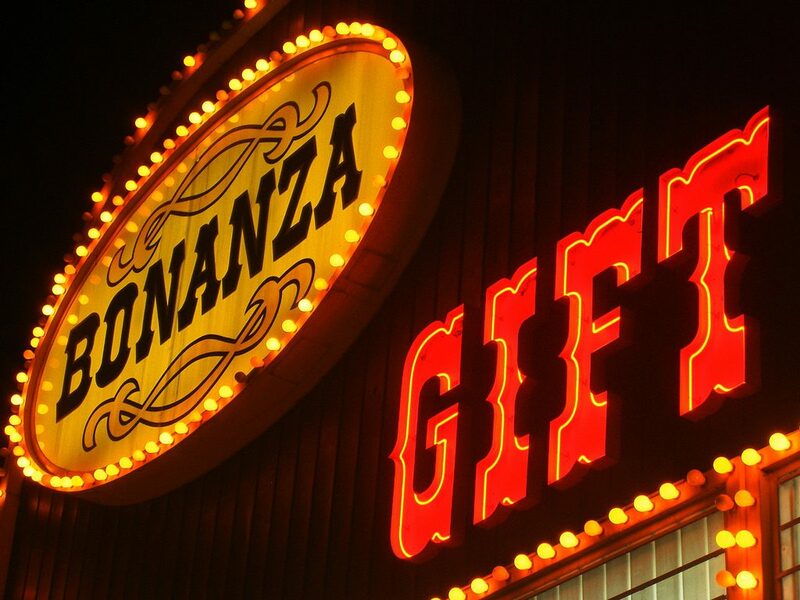 Billed as “The World’s Largest Gift Shop,” it’s impossible not to find something at the Bonanza Gift Shop. Located across the street from SLS Las Vegas, this gigantic gift store has been on the Las Vegas Strip since the early 1980s. Inside, customers can find shot glasses, bandanas, keychains, jewelry and coffee mugs bearing the “Welcome to Las Vegas” slogan. Even if the kitschy kind of souvenir doesn’t suit you, there are footballs and Disney items for sale as well. Everyone with a sweet tooth will want to check out the M&M’s® World Gift Store. Inside this colorful candy land, visitors can find T-shirts, bags, keychains, and dice. You can also print your own personalized M&M’s® or customize a special keychain. 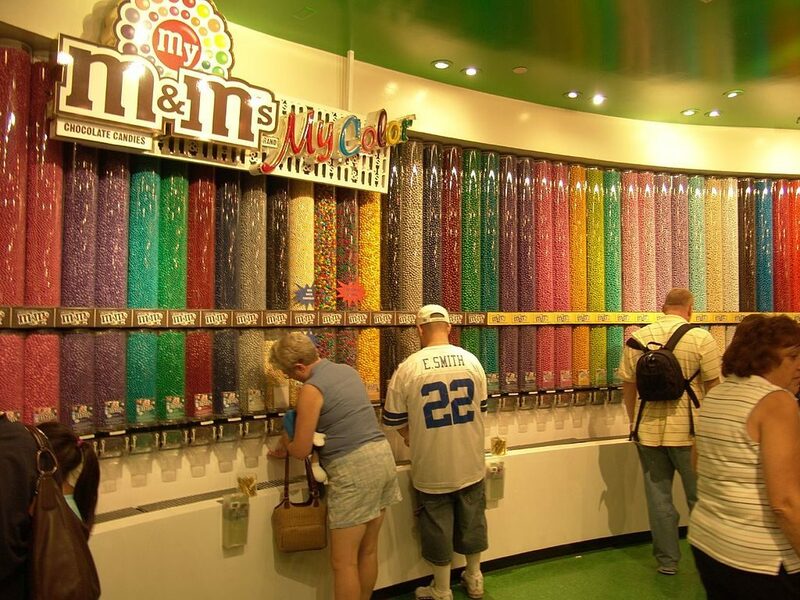 Anyone can walk into M&M’s® World from the Las Vegas Strip; as it stands next to the Coca-Cola® store, it’s hard to miss. Anyone who enjoys The Godfather, Goodfellas, or mob history in general will find something they like at the Mob Museum Gift Store. 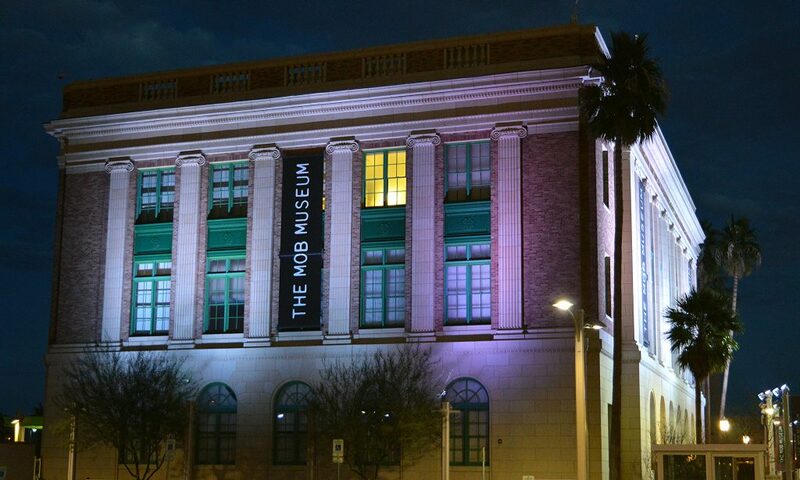 Guests who tour the museum will end their journey in the gift shop, but the store is accessible for those who just want to pop in for something. Inside the gift shop, there are books on famous mob figures, keychains, magnets, shirts, bags, and gambling chips. Animal lovers will find something to love inside the Secret Garden Store. As it’s stocked with stuffed tigers, dolphins, jewelry, postcards and keychains, it’s easy to find something for almost anyone back home. 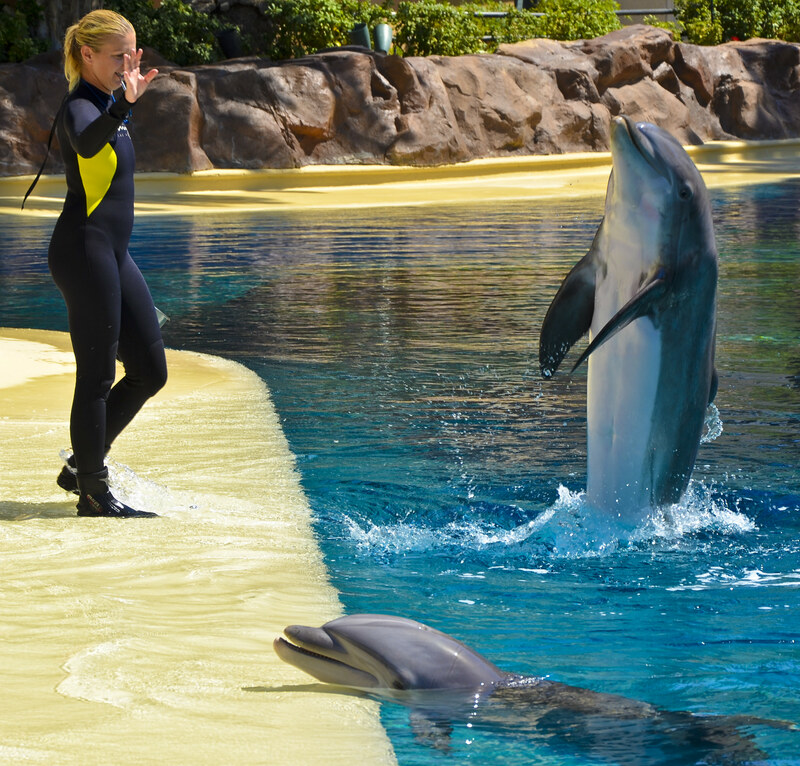 The Secret Garden Store hosts an additional mini exhibit for its guests, about a dolphin’s sustainability, inside the store. This shop is enclosed within the garden, so you’ll have to take the tour if you want to get into it. The Gamblers General Store is the quintessential Las Vegas gift shop. Located in downtown, this store caters to gamblers of all kinds. No matter the game, it supplies everything you might need, including dealing shoes, cut cards, custom poker chips, playing cards, dice, and poker tables. Their inventory doesn’t stop at gaming supplies, however; visitors can also purchase money clips, necklaces, mugs, ashtrays, and piggy banks. Hit one of the downtown Vegas hotspots. For everyone with a Marvel fan at home, the Marvel S.T.A.T.I.O.N. gift shop will be the place to go. The interactive exhibit delves into the world of the famous Avengers, and the store offers a wide array of superhero-related merchandise to take home. Inventory ranges from clothing, Funko keychains, and notebooks to lunch pails, artwork, and collector’s items. 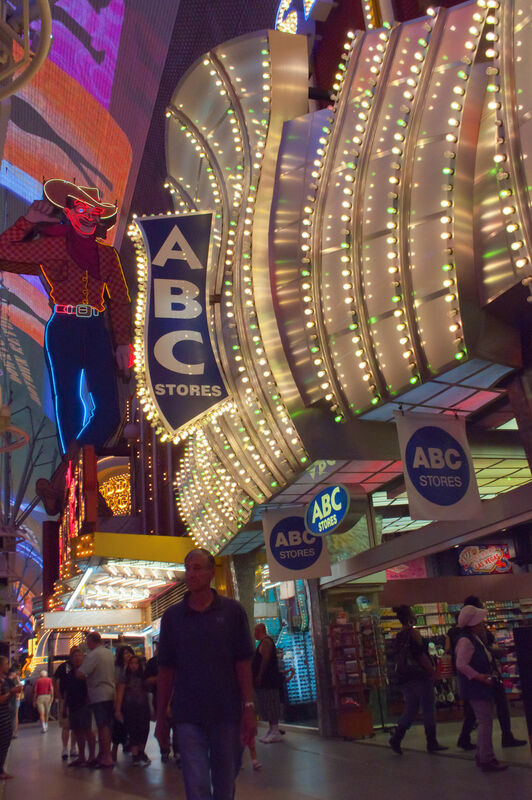 ABC Stores is the standard gift shop, with multiple locations throughout Las Vegas. A chain that started in Hawaii and expanded into Las Vegas, Guam, and Saipan, you can find a mélange of keepsakes and treats inside any one of these venues. Walls and racks are brimming with shot glasses, magnets, picture frames, hats, and more. The stores also stock food and drinks, which is convenient either before or after a night of partying. The Michael Jackson One Boutique is the place to go for Cirque du Soleil fans or anyone who loves the King of Pop. Most of the merchandise on display is either Cirque du Soleil or Michael Jackson themed, but you can still find a “Welcome to Las Vegas” keychain. If you can’t make it into the physical store inside Mandalay Bay, you can order anything you’d like online. For those willing to go beyond the Las Vegas Strip in search of souvenirs, Springs Preserve is a great place to start. In this shop, you’ll find desert-themed items, stuffed animals, keychains, toys, coloring books, socks, and more.